In previous post we’ve already explained how you can disable OneDrive from File Explorer in Windows 10. But what if you don’t want the OneDrive service in your system at all? To save system resources, you might consider to uninstall OneDrive completely instead disabling it only. Unfortunately there is no option in the graphical user interface to uninstall OneDrive in Windows 10. 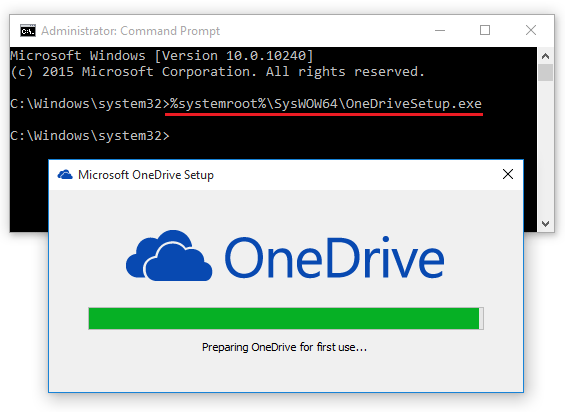 So here we’ll show you how to install / uninstall OneDrive from Command Prompt. Press the Windows + X key combinations to open the Quick Access menu. Select Command Prompt (Admin). Upon completing the installation, restart the computer and you can then use OneDrive again.